Hello, lovelies~ I wanted to introduce you to a brand that brings gadget into the beauty world. Not just any gadget, a light therapy that is usually available in dermatologists or estheticians' office. Meet Talika. A brand that was founded in 1948 by Danielle Roches, who accidentally discovered a formula that not only helped war victims recover from their burns on the face, but also helped to stimulate the growth of the lashes. In fact, the victims' eyelashes became longer than they were before! 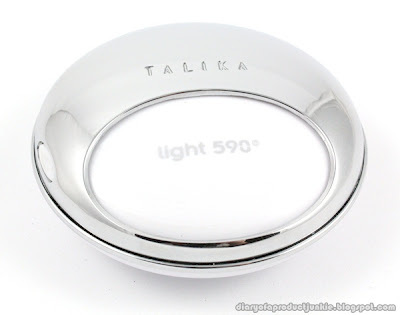 This is the first product of Talika that was named Lipocils. The brand is famous for their eye treatments such as, eyebrow serum, eyelashes serum, heated eyelash curler and many more. However, they wanted to change their image to let the general public know that they have other products aside from treating the eye area. They have developed gadgets with different functions for typical face problems such as, fine lines, wrinkles, acne and dark spots. The gadget for dealing with fine lines, wrinkles and dark spots is combined into one device for efficiency, I guess. 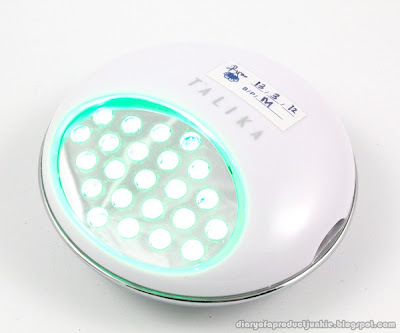 I was very intrigued by this gadget as it promises to reduce the appearance of dark spots in 60 days. 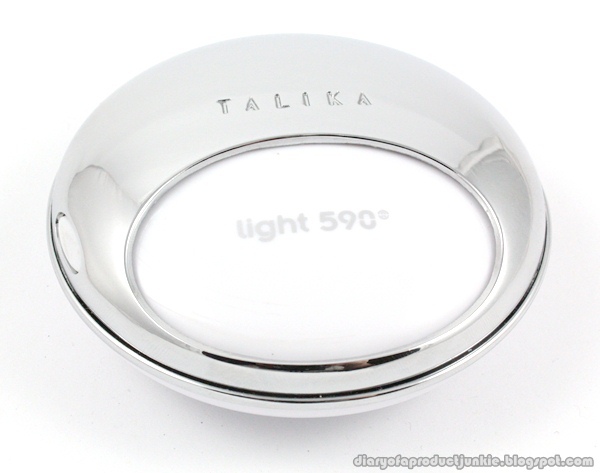 Thankfully, Talika was very gracious that they contacted me and asked if I would like to give the gadget a try. I was super excited and accepted the offer. So, here I am posting about the gadget that I received a couple of days ago. This isn't a review post, but an introduction and first look at how the device works. It comes in a blue box, complete with a booklet, device charger and a travel pouch. The star of the show is placed securely in the middle of the box underneath the booklet. This specific gadget is a Light Duo because both sides have light emitting waves that helps to reduce appearance of dark spots and wrinkles. The device is around 7 cm in diameter and would be easy to carry when you're travelling. 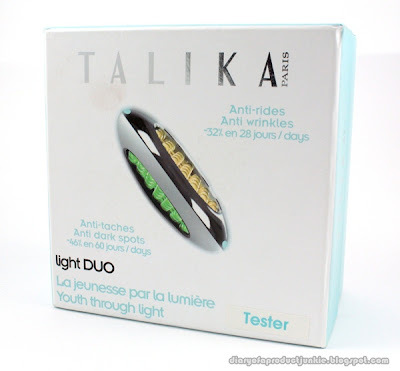 In this video, I will show you how to use Talika Light Duo and demonstrate it on my face. Just click here to see the video. 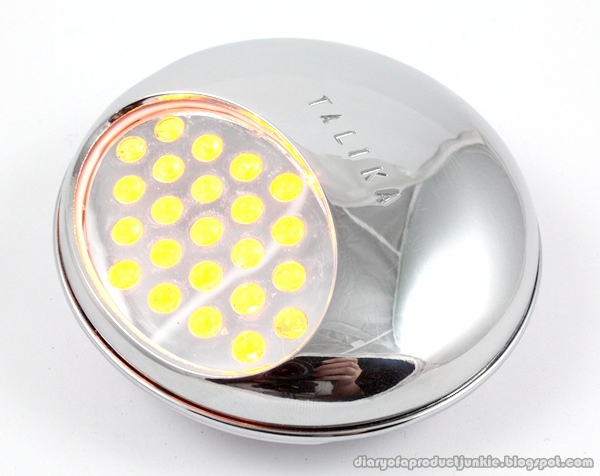 You will see how the light differ from each other in terms of color and pulsating orange light. The green light will turn on for a minute, while the orange light goes off after 45 seconds. It is recommended to use 2 minutes per area on your dark spots, while 45 seconds on wrinkles or fine lines. The product claims to help reduce the appearance of dark spots within 60 days and 'erase' fine lines within 28 days. So, I will update you on my Talika Duo Light experience weekly. If I can, I will make a separate post on how light therapy works, but in the mean time, I hope you had a great day and I'll see you in my next post. Hello, what do you think of this product? Please let us know. If it's really good, where can we purchase this product in the US? Thanks so much! !